The diversity of flavours and colours of rum are as rich as the history and culture that surrounds this alcoholic beverage. 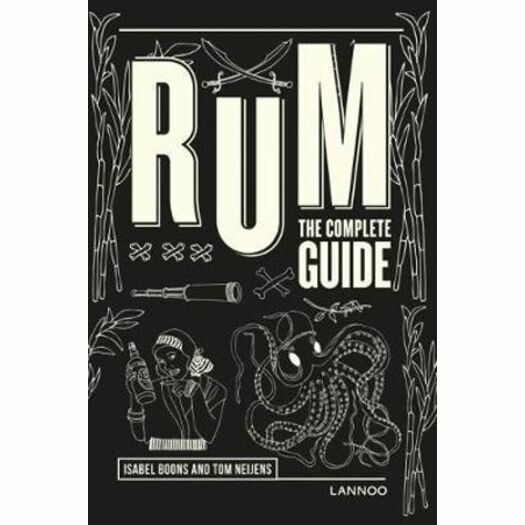 This guide provides an overview of more than 300 different types of rum and then categorises them using an innovative taste model. For every rum, you receive a clear overview of its origins, taste and aroma. In addition, you can read all about the different types of rum, the production and maturing process, the perfect way to serve, and the best cocktails. 300 different types of rum categorised using an innovative taste model. A clear overview of the origins, taste and aroma. In the same series as best selling book Gin & Tonic. Fascinated by cocktails and spirits, Tom Neijens changed course five years ago. He quit his job and started his own Tiki bar The Drifter. In 2013 he reached the highest achievable level in Belgium in terms of technical knowledge of spirits. Isabel Boons is a culinary journalist and previously contributed to Gin & Tonic, Tequila & Mezcal and Vermouth.